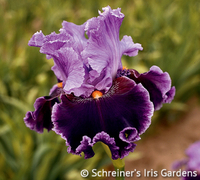 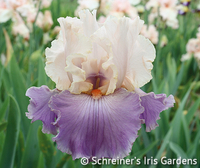 Irisarians are familiar with these esoteric Iris terms: “Ovation Pink,” and “Ghio Form.” Ovation, 1969, was perhaps the pinkest Iris, but not a robust grower. 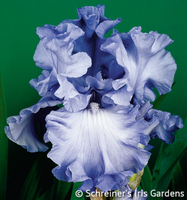 Ghio form - ruffles, broad falls and excellent presentation - are hallmarks of hybridizer Joe Ghio’s Iris. 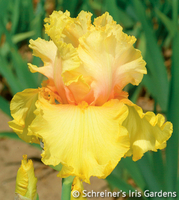 Entice is a perfect example as shown in our photo. 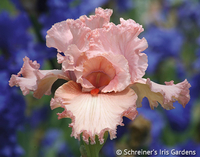 Entice has Ovation pink and Ghio form.